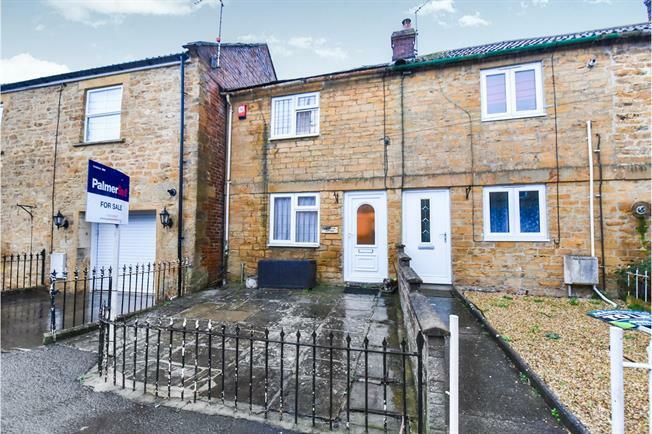 2 Bedroom Terraced House For Sale in Martock for Offers in excess of £150,000. This property's price has dropped from £170,000 to Offers in excess of £150,000. OPEN HOUSE EVENT 27TH & 28TH APRIL. CALL NOW ON 01935 825825 FOR MORE INFORMATION AND TO ARRANGE A VIEWING. This 2 bedroom property comes to the market with the benefits of a multi fuel burner, gas central heating, uPVC double glazing, enclosed courtyard and sun terrace. Accommodation comprises lounge, dining room, kitchen, bathroom and 2 double bedrooms. Ideal for both first time and investment buyers alike. Maximum measurement. Opaque uPVC double glazed door provides access. Front aspect uPVC double glazed window with window seat, radiator, laminate flooring, exposed stone walls, multi fuel burner with hearth and mantel, television point, archway through to dining room, beams to ceiling. Side aspect opaque uPVC double glazed window, low level toilet, bath with side panel with shower over, pedestal wash hand basin with vanity unit under, heated towel rail, spot lights. Maximum measurement. Front aspect double glazed window, radiator, built in wardrobe, beam to ceiling. Maximum measurements. Rear aspect uPVC double glazed door to balcony/sun terrace, radiator, built in cupboard and wardrobe, over stairs storage cupboard. There is a paved area to the rear of the property with a storage shed with fence panel and wall surround. There is also a raised sun terrace/patio area.